Story developed using data from Mining Intelligence. Learn more and schedule a demo. 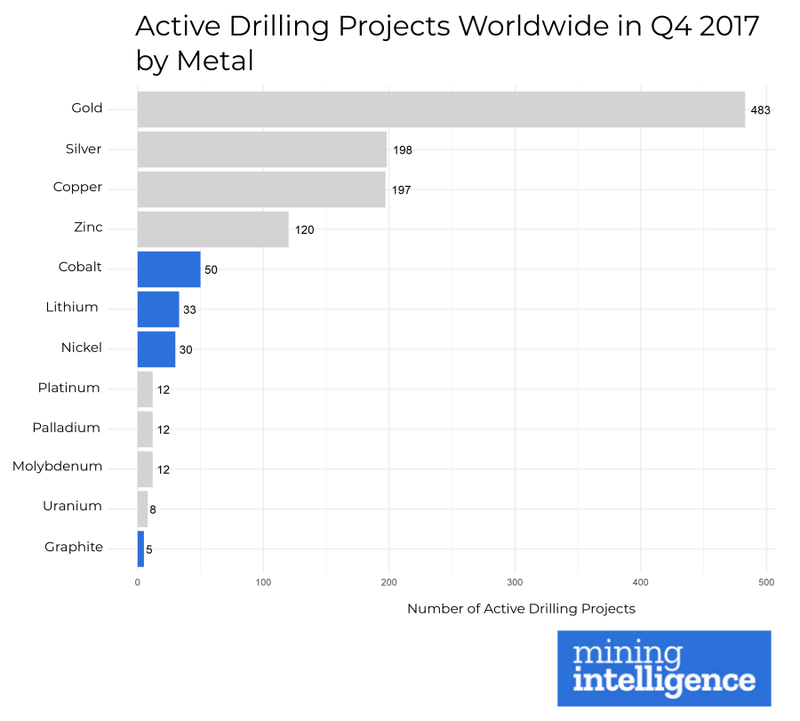 Cobalt drilling activity worldwide quadrupled in Q4 and accounted for 50% of total activity of battery materials worldwide, according to data from Mining Intelligence. Fifty cobalt projects reported drill results in the last three months of 2017 up from 12 during the previous quarter. Glen Jones, managing director of Mining Intelligence, presented findings to the Vancouver Resource Investment Conference in January. Data is based on filings from active, publicly-traded mining and junior companies around the world. Cobalt was the stand out for the four metals that are closely associated with the battery material space, the others being lithium, graphite and nickel. Nickel was also up at the end of 2017 while lithium has been flat all year. "A couple of years ago graphite was the hot commodity, but it has fallen off,” says Jones. Jones counted only two companies reporting drilling results for graphite during the month of December. Jones noted that these four battery metals still make up a small amount of total drilling results filed by miners and juniors each month. "Gold is always the number one commodity being drilled," says Jones noting that 78% of last year's project activity was focused on the precious metal. 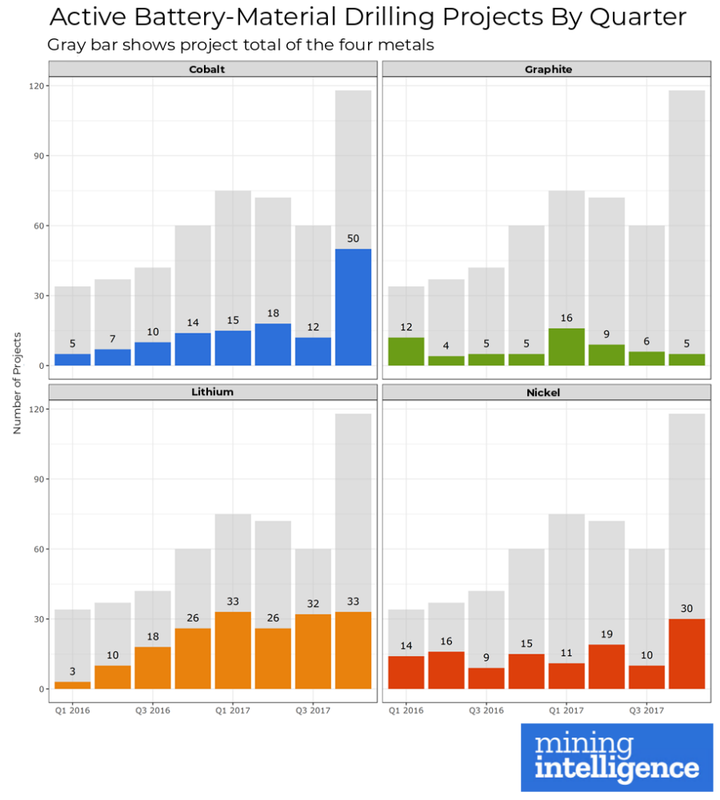 Paying attention to what's being drilled tells you a lot about the eventual metal supply. "Drilling activity is really an indicator of the health of our industry," says Jones. "No drilling, no discoveries, no reserves, no mines." Sign up for Mining Intelligence and get rich insights about miners, juniors and projects. Our online tool puts rich data at your fingertips.